What does sustainable agriculture mean to big corporations? 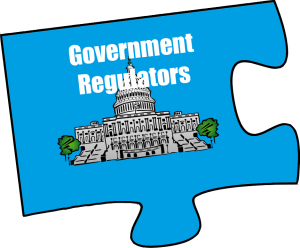 Do corporations reach across the aisle to government regulators, NGOs, farmers, and consumers to achieve their goals? And how does that affect you and the environment? 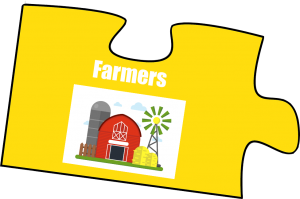 In a four-part series on sustainability, we are illustrating how farmers, NGOs, governments, and in this article, corporations, work together in order to facilitate sustainable objectives in agriculture. Corporations often are maligned when it comes to their sustainability efforts. 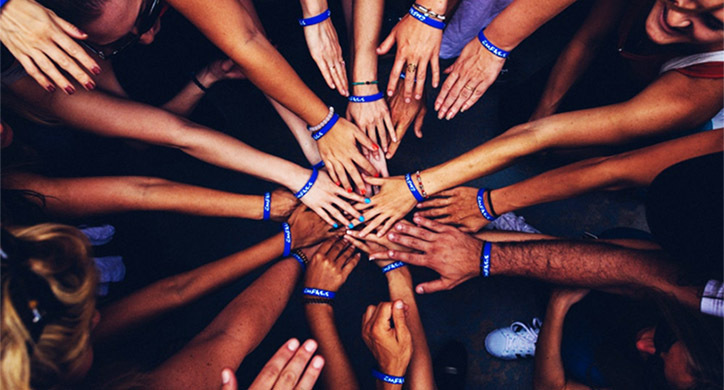 In general, consumers perceive small companies or “local” operations to be better and environmentally friendlier than large companies and their wider distribution networks. When in reality, it is often the sustainability efforts of large corporations that influence smaller operations. Sustainability has no borders— everyone is involved. How do corporations address agricultural sustainability? Responsible corporations can help improve our food supply chain. Today, it is not enough for corporations to focus solely on making a profit and increasing shareholder value; they are expected to leave the world a better place for consumers and stakeholders alike. 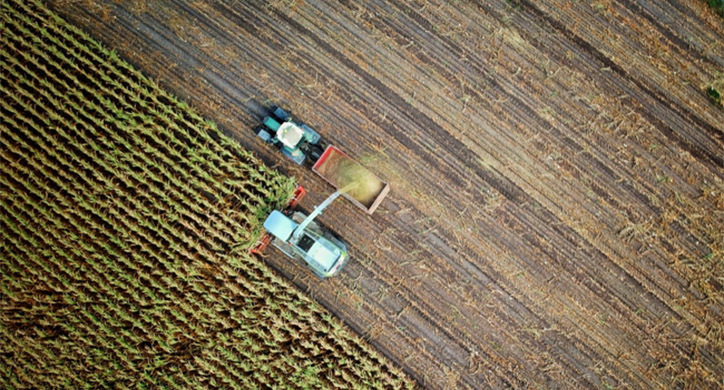 In many cases, large agriculture corporations are the leaders in sustainability and create a bar for other smaller-scale companies to follow. 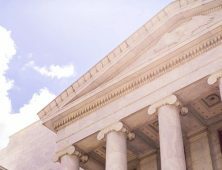 While each responsible corporation generally accepts the same overarching definition of sustainability, they implement it uniquely, according to the factors that are the most important to their corporate practices and the products they are creating. 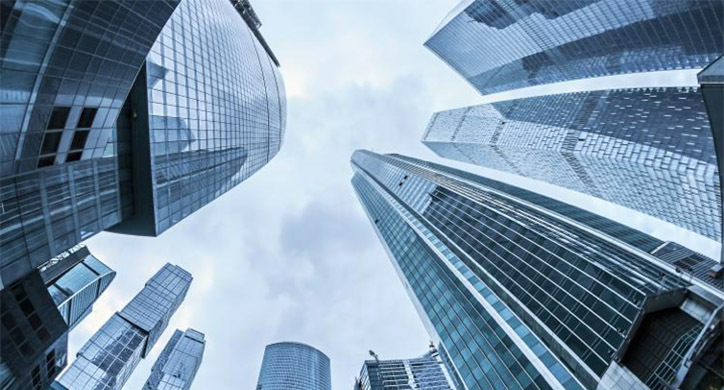 Individual corporations will create a plan for sustainability that is good for the environment, good for business, and good for social welfare. However, it is important to note that not all corporations treat sustainability in the same way. Some use it as a marketing ploy— they don’t ‘walk the talk’. An increasingly important aspect of today’s sustainability initiatives is a verification process to ensure that they are meeting their goals. How do these large-scale corporations figure out which sustainability efforts to promote while maintaining a profit and achieving their vision? 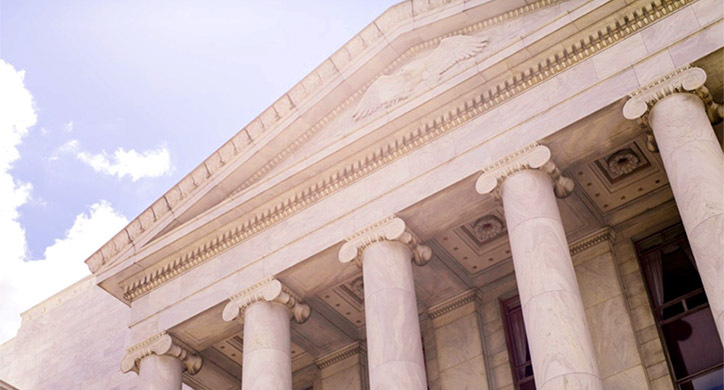 Corporations will perform research and poll their stakeholders (customers, suppliers, shareholders, governments) to see what is most important to these key players. Generally, companies will target water usage, food and packing waste, greenhouse gas and energy consumption, farmers, and/or employee welfare. Corporations in the agriculture industry recognize how important the environment is for both current consumers and future generations. They want to be known for responsible, good business practices and will be vigilant about their sustainability initiatives. And, let’s not sugar coat it— they have their brand and reputation to protect, which is a driving force for doing good. 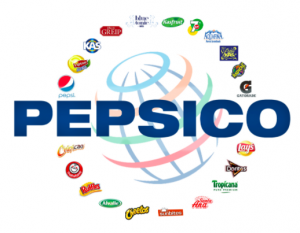 PepsiCo’s Sustainable Farming Initiative (SFI), for example, is a program that encourages all of their farmers to continually improve their sustainable agricultural practices. The key ingredients they source are potatoes, corn, oats, and oranges. They “aim to implement specific programs and measurement processes to improve overall agriculture supply chain performance.” Their lofty goal includes topics within the social, economic, and environmental framework of agricultural sustainability. The Coca-Cola Company, another titan of industry in the beverage sector, has expansive environmental goals that include water and energy preservation. Looking specifically at their water initiative, Coca-Cola has pledged that for every drop of water they use, they will give one back to the environment. Essentially, they are water neutral. Coke and their bottling partners set this as their goal for 2020, but they were able to achieve it by 2016! Not only did they use less water, but they replenished it through community water partnerships in 71 different countries. Within the agriculture sector, many sustainable corporate initiatives are often met with backlash. The prime example of this, of course, is genetically modified organisms (GMO). Without getting too much into the debate behind GMOs, regardless of where you stand on this issue, there is no denying that genetically engineered (GE) crops save environmental resources. And many farmers that provide food to big corporations will grow environmentally-friendly GE crops in order to help support sustainability initiatives in Ag. For example, Monsanto is constantly under fire for “poisoning agriculture” with its GE crops, when in reality the reverse is true. 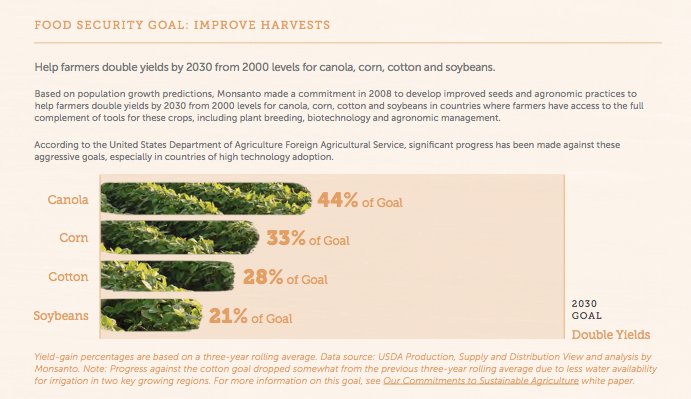 While Monsanto has 17 sustainability efforts, their biggest contributing factor to consumers and our environment alike is to to double the yield size of canola, corn, cotton, and soybeans by 2030. What gets lost in the GMO conversation with environmentalists is that higher yields actually protect the environment. How? This means less land under plow and less water usage, energy, herbicides, and pesticides used to grow non-GMO crops. 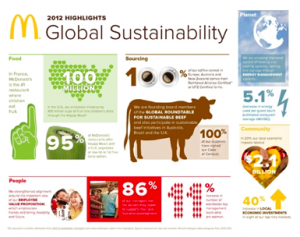 McDonald’s is another company looking to “make a positive difference in the lives of farmers and our planet by advancing more sustainable beef production.” This means that when you sit down to eat a Quarter Pounder, you can be assured that the particular cow was raised by farmers employing the most sustainable environmental practices. McDonalds Canada started a ‘birth-to-burger’ program where for the first time you can track hamburger meat back to the cow it came from. You can be assured that the cow was raised humanely and in a sustainable environment, discover what the cow ate during its lifetime, and know that it was processed with food safety standards. This program is a collaboration with specific ranchers, the World Wildlife Fund, JBS, and Cargill. They currently track 9,000 head of cattle, which supply roughly 2.4 million beef patties. Sustainability efforts can be harder to accomplish for smaller-scale farmers who are trying to eke out a living in the developing world— especially when these farms are nestled next to rainforests. Keeping ancient forestintactct is better and more productive for the Earth than slash and burn farming. Additionally, destroying these forests, which provide tremendous plant and animal life biodiversity, as well as CO2 sinks, is damaging to the Earth’s ecosystem. According to the Rainforest Alliance, attempted agriculture accounts for more than 70% of tropical deforestation. 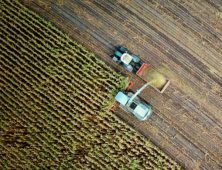 As a result, some of the world’s largest agriculture and food companies have signed an agreement to monitor their outsourced supply chains. Some of these companies and organizations are Carrefour, Walmart, Bunge, Cargill, Conservation International, Rainforest Alliance, and the Nature Conservancy. Unilever, Wilmar, and Hershey also have their own commitments against purchasing goods produced on deforested land. 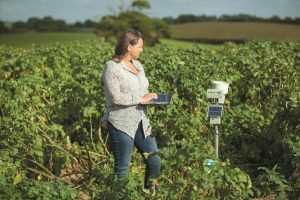 Using satellite imagery, they can track exactly where the crops came from and ensure that the crops were grown safely and sustainably. 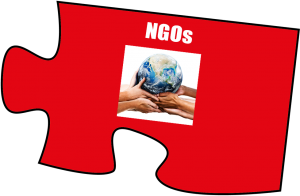 As we discussed in the first installment of this series, NGOs and corporations create meaningful partnerships to achieve corporate sustainability goals while benefitting farmers and the environment. The Nature Conservancy, for example, is an NGO that has partnered with many different corporations to help achieve various goals within agricultural sustainability. 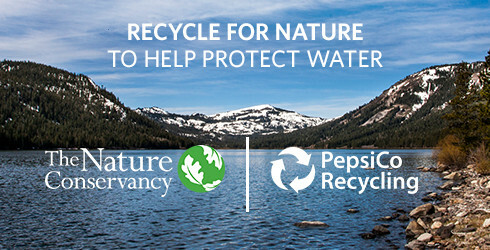 In 2016, the Nature Conservancy and PepsiCo announced a 5-year partnership entitled “Recycle for Nature,” which aims to protect our drinking water through recycling. Their primary goal is to save 1.2 billion gallons of water over five years. This partnership is also working to protect the important rivers and lands that are integral to our water resources in North America. Scott Pruitt, EPA Chief, has been soundly criticized for supporting the withdrawal from the Paris climate agreement, encouraging discussion about the cause of climate change, and repealing Obama’s Clean Power plan. His approach to environmental sustainability takes a different tact – obtaining immediate benefits. He is working with Walt Disney World to convert 120,000 tons of food waste into electricity. This will help the EPA goal toward reducing the 21% of food waste that fills landfills by 50%. It all starts with good values. In all successful cases, ethics and transparency are at the forefront of any sustainability initiative. Looking specifically at agricultural sustainability, consumers want to feel more connected to the environment and have a good understanding of where food is coming from. To that end, consumers are more likely to support a corporation if they are successfully supporting the environment and transparent about their corporate practices. Furthermore, employees will go the extra mile if they feel their company has the same values they do. “Our people feel there is a soul in the company, a purpose. It has an effect not only internally, but also externally– especially for the younger generations. They don’t want to work for a company for the benefits or the pension packages, they want to work for a company where they can say the values match with their own values”. —Feike Sijbesma, CEO, DSM. 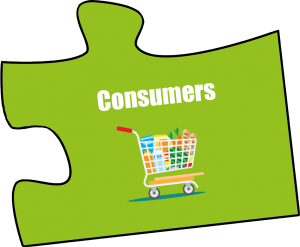 Social Media & Corporate Sustainability Sustainability is important to consumers, who use social media to determine whether the product they are buying meets their personal values. As a result, sustainable brands tend to grow faster than others. For example, Unilever has 16 sustainable brands that grew 50% faster than other comparable brands and represented 60% of overall growth in 2016. 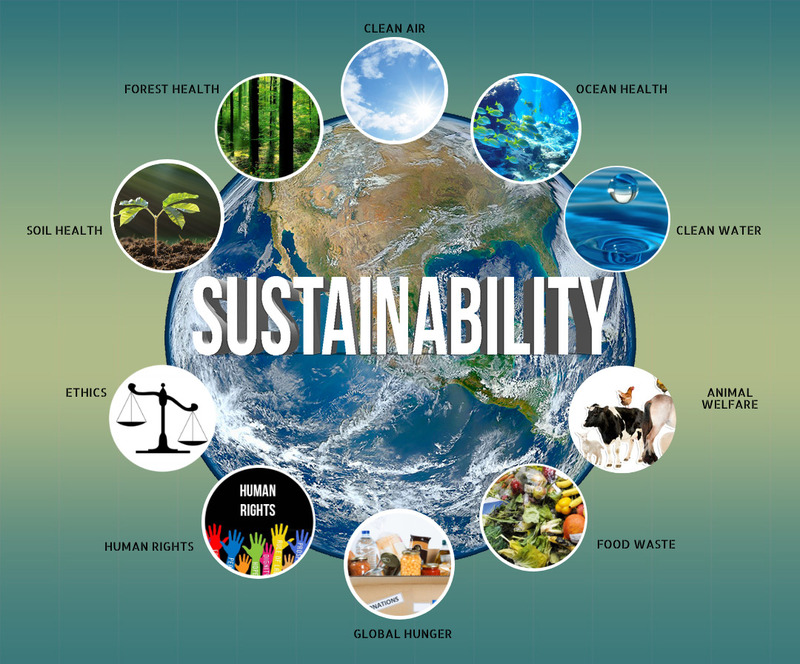 The World Business Council for Sustainable Development is a CEO led organization of innovative companies that spurs the business community toward sustainability in the following area: Energy, Food and Land Use, Cities and Mobility, and Redefining Value. The Global Roundtable for Sustainable Beef defines themselves as promoting an environmentally sound and economically viable product that prioritizes the plant, people, animals and progress. They are a consortium including McDonalds, Cargill, JBS, National Cattlemen’s Beef Association, and the Canadian Cattlemen’s Association as well as the Rainforest Alliance and the World Wildlife Fund. The Global Salmon Initiative sets the standard for sustainably farmed salmon. It is represented by a group of salmon farmers from 8 different countries. The Beverage Industry Environmental Roundtableis a collaboration of companies such as Diageo, Danone, Heineken, Coke, and AB InBev in the beer, bottle water, juice, tea, coffee, soft drink, and alcohol business. They are far reaching with over $260 billion in combined revenue, over 2100 facilities across 170 countries and have over 5,600 brands. Their purpose is to advance environmental sustainability within the beverage sector. Corporate agriculture sustainability initiatives are good for the environment, good for business, and good for consumers. Responsible corporations around the world are focusing on how to ensure they are taking care of their profits – but not at the expense of the planet. 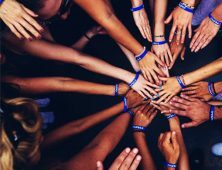 But like anything, not all initiatives are alike and some companies are better at creating and executing their sustainable practices than others. When you purchase a product, check to see what that company’s sustainability efforts are – you might be surprised!